This week at the McSpedden Library, our 2nd graders came to the library to engage in stations designed as an author study. The fabulous author that we are studying is Tomie dePaola! 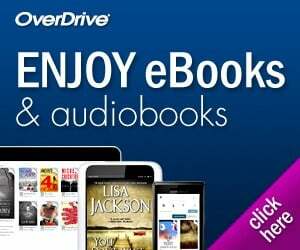 He has made over 200 books selling more than 6 million copies worldwide! He is definitely someone who has made great contributions to the world of children’s literature! The teachers had certain TEKS that they needed to cover, so I created some fun stations for the kids where they could explore some of Tomie dePaola’s books, explore some of the books that are about him, get to practice their illustrator skills, and do some research to learn more about how he became an author and illustrator. Below are descriptions of the stations and any materials that I created for those stations. The students recorded all their learning in this Tomie dePaola Research Booklet. Here are all the Tomie DePaola Station Signs as well. 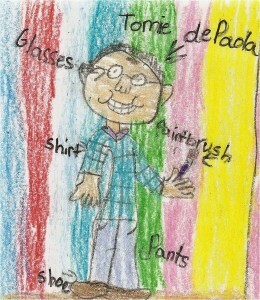 Draw your own picture of Tomie dePaola and think about why he is an important author for us to study. Complete pages 2-3 of your research booklet. At this stations, students used PebbleGo to do research about Tomie dePaola. In their research booklets, they answered questions and wrote down facts on pages 4, 5, and 8. They also wrote down the real citation on page 12. Since many of the teachers were reading Strega Nona to the kids, I paired Strega Nona with Charlie Needs a Cloak and the students filled out a Venn Diagram on pages 6 and 7. The students read the library copy of this book aloud at the station. At this station, students watched a video of me reading the book The Art Lesson and filled in page 10 of their research booklet. At this station, students will listen to Nana Upstairs and Nana Downstairs and fill in page 11 of their research booklet. At this station, students looked at the wordless picture book Pancakes for Breakfast and created a wordless story of their own on page 9 of their research booklet. I’ve been mesmerized by your blog all day! What wonderful programming you’re doing. Thanks for sharing. I wonder how long a library period is in your school? Can you share the research booklet?